Minecraft has become such a huge game that it currently has 15,996,451 sales as of the time I’m writing this. It has changed the world of video gaming, even being used as an educational resource in schools. The game allows the player to do whatever they want, you can build a castle, you can mine out an underground city, you can even make spaceships or artificial waterfalls. It has received a huge amount of good reviews (such as 10/10 from Eurogamer, 5 stars from 1UP and 9/10 from IGN). It’s fair to say everyone is aware of the game but are they aware of its history? Here’s our top 10 biggest events in the Minecraft timeline! If there’s one thing people love about Minecraft, it’s the ability to play with your friends. A lot of people want their own server but they can’t work out how to get it up and running. I’ve made my own server before and it’s no easy feat to those with no technical background. This is where realms come in, they offer a simple way to get a small server up and running so you can play with your friends and family. It’s subscription based so you only pay as long as you need to and the prices are actually very good. This will have increased the amount of playability available to users and give people their own server with little trouble. I bet Mojang cried when they reached this number. Most low budget and low profile games would be happy to reach 100,000 sales, but this sparked a huge growth of awareness among gamers. Suddenly everyone was talking about this game called Minecraft and how great it is, the game wasn’t even out out of Beta yet and it had already jumped over a massive hurdle. From here things only got better, high profits allowed Mojang to increase their staff and in turn update the game more often and include more features. As any player will know, playing single player in your own world is incredibly fun, you can spend a full day just playing and you don’t even feel bad when you realise your hygiene has all but disappeared. When you first jump on to multiplayer with a bunch of friends, or even randoms, the game doesn’t just become a multiplayer experience, the game totally changes. On a server without protection mods, you will have to place traps around your chests to protect your valuable items, you will have to hide those chests too. You’ll have to find the strongest blocks to build your structures from, making them harder to be stolen and you’ll want to get good weapons/armour much quicker than you normally would. It’s also really fun to group together and combine resources, allowing everyone to grow quicker. Minecraft multiplayer opened the door for popular Minecraft YouTubers to join together and produce more/better videos (I’m looking at you, Yogscast), it is probably more of the game than single player itself. From survival stemmed other game modes, servers were popping up everywhere allowing for players to get the experience they want, and Minecraft was about to erupt into the stalwart of video games it is now. One of the most simple things a company can do to improve their products, but most companies don’t. From the date specified, Mojang started releasing “snapshots” of their updates before releasing them as official updates, this allowed them to get a LOT of valuable feedback and make sure the updates are fully ready when they’re released. Not only is this an incredibly good idea, it put faith into the players that Mojang really do want to give you the best experience, and that after you’ve handed over your money, the niceties don’t stop there. For a game like Minecraft, 1million sales was a huge achievement, moving onto consoles is even better. Few games manage to pull this off but the console community is almost as strong as the PC community. Besides the lack of mods (which are a massive part of Minecraft to a lot of people), the console version is pretty much just as good. 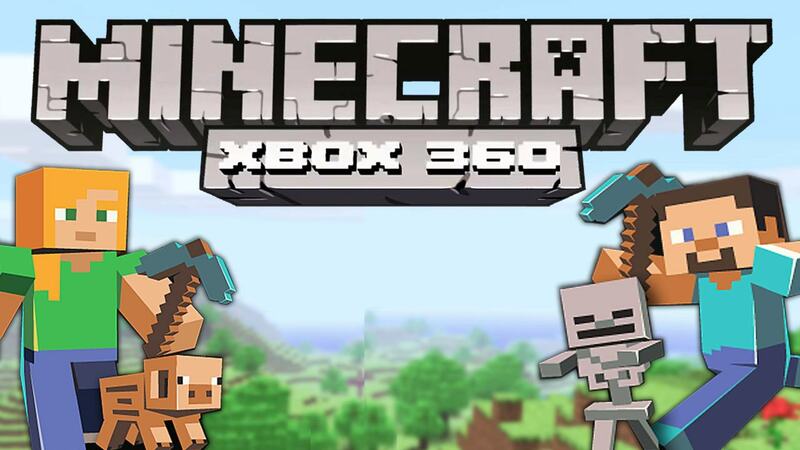 This move has allowed Minecraft to move onto other platforms too, such as the Playstation consoles and mobile devices. After averaging 3-4million sales a year, Minecraft sold a staggering total amount of copies and cemented a place as one of the greatest video games in the industry. The number is ever growing, with 18,932 sold in the last 24 hours, that’s 788 an hour, 13 a minute and around 1 sold every 5 seconds. As of the specified date, Mojang was now a huge company and Minecraft is growing far beyond what Notch could have ever imagined. 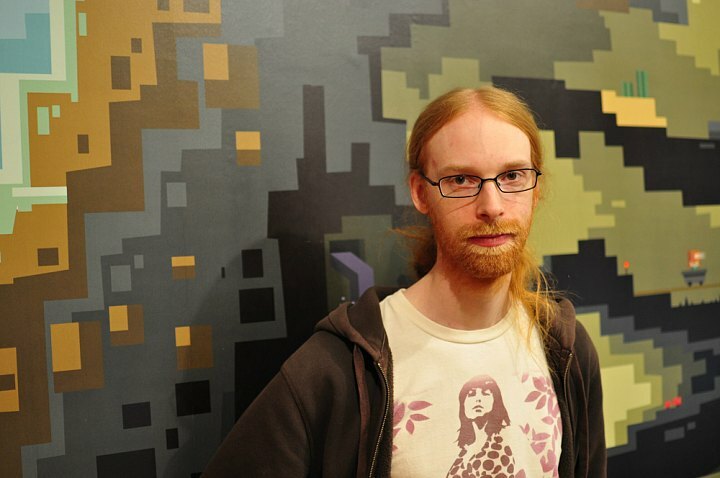 Jeb (real name Jens Bergensten) is a Swede and the current Lead Developer of Minecraft and Minecraft: Pocket Edition. Every developer deserves a shout really, they’ve all brought their own personas and their own uniqueness to Mojang and it tells in the game (such as Dinnerbone’s little easter egg). I feel like Jeb is the main guy though, he’s pretty much everything you want in someone who is improving the game you love. He’s responsible for a lot of Minecraft features that provide a talking point and maybe even a story (such as nether fortresses, who created them? ), he’s largely responsible for how well Minecraft is going and I can’t wait to see what he brings in the future. This update was the kind of thing most other companies would charge you for as a DLC. It completely reshaped the game, turning it from a child to an adult. New mobs were added, as were new blocks, the creative game mode, generated structures, new biomes, parrying, new food mechanics, sprinting, food poisoning and all sorts more that you can find here. The creative game mode was arguably the best addition as it allowed huge, million block creations to pop up everywhere as well as creative-only servers, entire cities and even things like Death Stars. 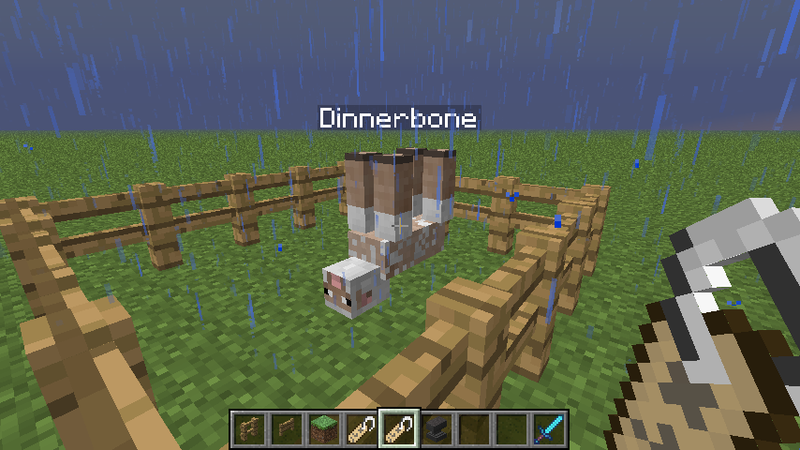 Survival gameplay was suddenly real survival, you had hunger so you had to eat, mobs like sheep, pigs and cows wouldn’t randomly appear, you would have to catch and breed them for more. As well as this, plenty of new seeds were added to help players grow more crops. Although the changes weren’t that welcomed at first, it’s hard to deny it was a huge turning point in the life of Minecraft. Bit of a lie, Minecraft was originally called Cave Game and then Minecraft: Order of the Stone and it wasn’t until 7 days later it was called just Minecraft. As you can see, the textures of the stone and grass are pretty much the same as they are now. There’s not really much to say about it besides that picture is what Minecraft started off as. But in a list of the biggest events, the birth has to be this high. It doesn’t feel that long ago since the game was fully released, doesn’t even feel like that long ago things like the nether were added. The game is still growing strong with bucket loads of new purchases (as shown before) by the hour and it’s all down to the fact that the developers listen to the feedback. They find out what people want/don’t want, then add/remove said things. It’s simple, yet most companies don’t do it, we get told what we want and if we don’t like it we don’t buy it, but we do anyway. Let us hope I have to edit this list in the future when another big update comes!